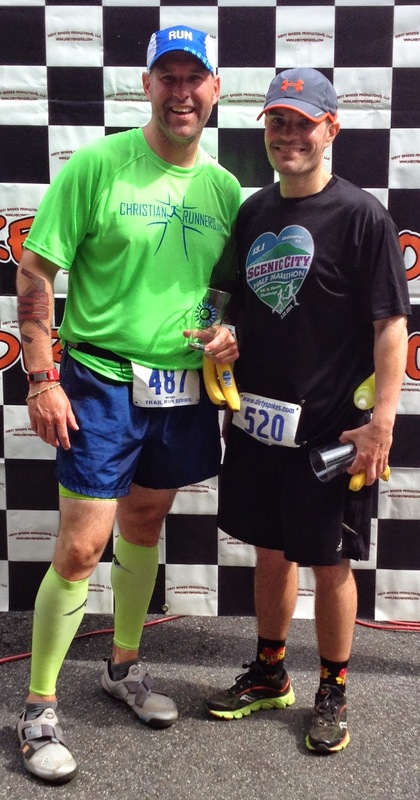 Running with SD Mom: Running Gear (male edition) and Happy Father's Day! Running Gear (male edition) and Happy Father's Day! 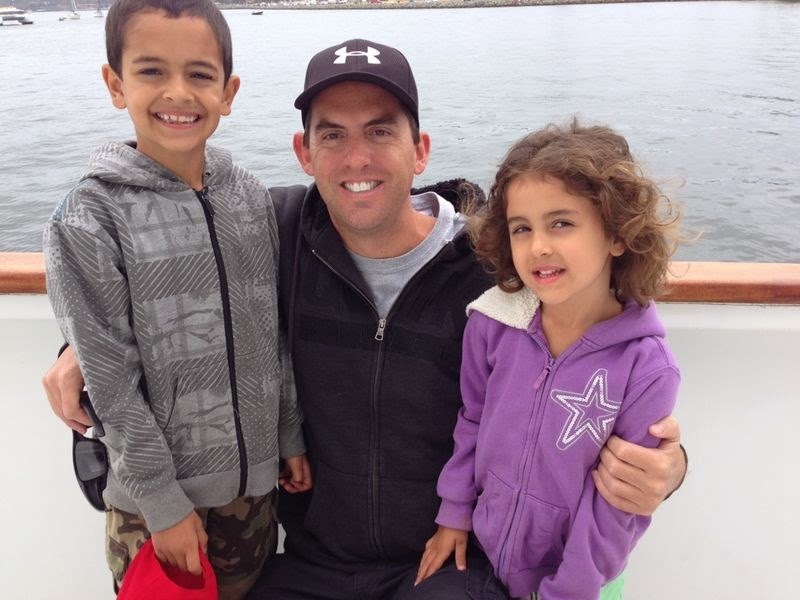 Happy Father's Day to the very best dad in the Universe - SD Dad! He is awesome and I am so blessed that he is the one I get to share my parenting journey with. So Happy Fathers Day to the man I love! Now, you know how I go on and on about what I wear to races and events and how much #imayhavearunninggearaddiction? Well, I wanted to see what male runners, specifically male bloggers thought about running gear and if they put as much thought into it as I do! So for Father's Day, I bring you the male Blogger edition of What should I Wear? Thank you guys so much for sharing your thoughts with me! It has been fun getting to know all of you! "For my long runs, I try to wear something that I have full confidence in and trust that it won't cause any issues, like chaffing. You definitely don't want to be out in the middle of an 18 mile run and have a wardrobe malfunction. I'll also try to coordinate the color of my ProCompression socks with my shoes or shirt. I have them in various colors so I can coordinate with what I'm wearing. When I wear my red ones, they make me feel like The Flash and when I wear my bright orange or neon ones, they make me feel like I'm standing out in the crowd. 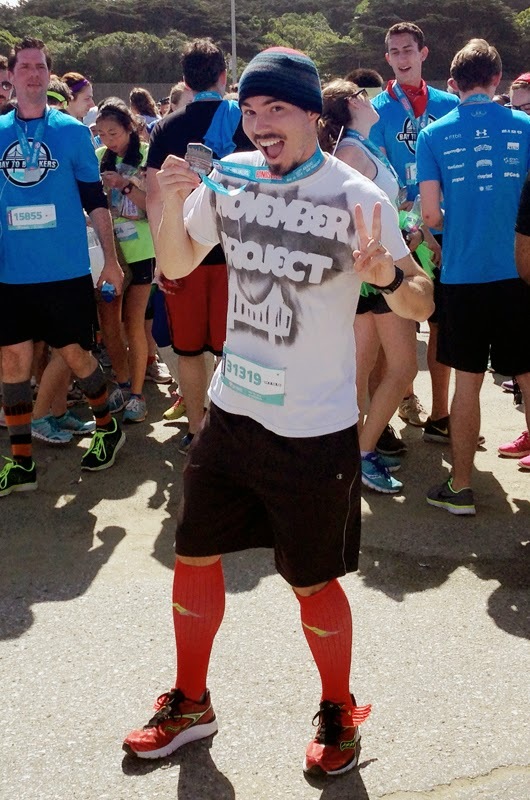 Colorful socks can definitely give you a sense of confidence and other runners seem to enjoy the "spirit" of them." Brian is a Fitfluential and Pro Compression ambassador. He even has a 40% off code for Pro Compression for you to use - PR40. "So, whenever I go on longer runs and races, here's the basic necessities I use to assure I look as handsome and refreshed as I did at the start. For men, definitely, gotta roll on the BodyGlide. I have pretty thick thighs and sometimes you can see sparks when I'm running. The BodyGlide keeps the burning to a minimum. ProCompression marathon socks for me is the only way to go for the longer runs. I've not had any calf or shin issues since wearing them on my long runs. They are easy to color coordinate. I use SpiBelt to store my beans, salt tabs, and keys. The only belt I found that doesn't jiggle or ride up on me. Burt's Bees to protect my lip from burning and the dry air here in AZ...and nowadays I'm always rocking a visor. I'm Hawaiian and already have a tanned look. Don't need to look burnt. And lastly, I rep InkNBurn. The fabrics are moisture wicking, light and they breathe. It's very comfortable. I'm a sweat monster and in these shirts, I'm pretty much bone dry when I'm done running." Read his blog. He approaches everything including running with a sense of Aloha! 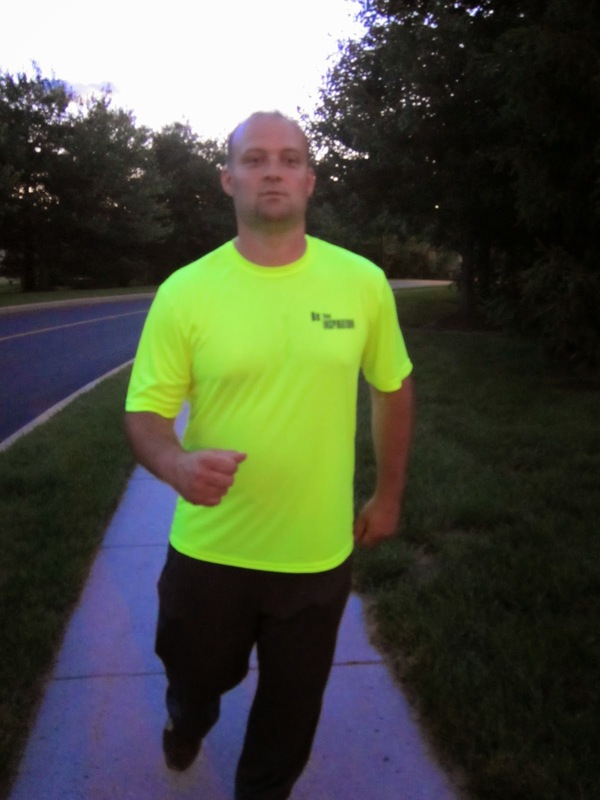 "I always wear INKnBURN tech tees and shorts when I run. They are comfortable, are made to last, and the best part is it is wearable art so I stand out from the crowd! I try to match with my Pro Compression marathon socks! Running active wear can be boring, but you can make a statement :)"
You can use code "LinzieToldMe" at check out at Ink n Burn for 15% off! You can also use code ABLINZROCKS for a discount for your own Orange Mud product! 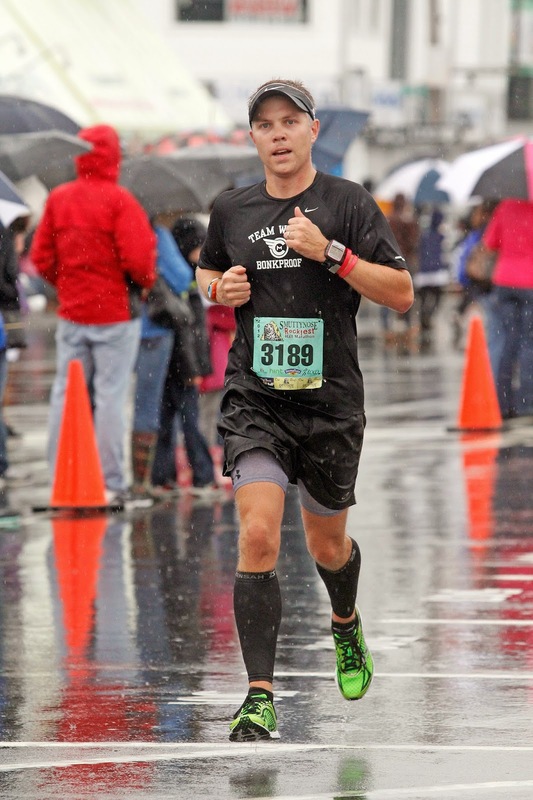 "For big races I generally wear a Team Wicked Bonkproof shirt (TWB is a group coached by Caleb Masland http://www.coachcaleb.com/team-wicked-bonkproof).I'm a fan of calf sleeves for half-marathons and marathons if for no other reasons than they feel good. And, of course, brightly colored, fast looking shoes!" He is sharing code DADSHO14 to take 20% OFF select men's running shoes (through June 12) at Amazon! 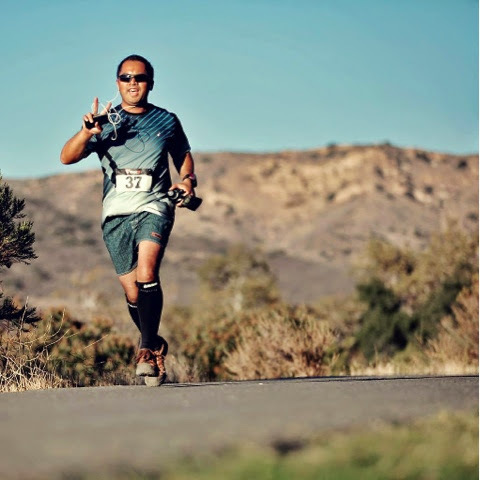 "For the first time in 11 half marathon races, I opted to wear a tank top, the Open Air Tank. It was very lightweight and kept me cool as the temperatures rose during the race. The 5-inch Surge Shorts are just the right length for me on a run. Not too short to unveil that farmers tan and not too long to get annoyed by too much fabric dangling around. The material is ultra thin and feels like you’re running with a veil of air around you." And for as long as I have known him, Justin always runs in his Halo Headbands! "As you can see I wear calve compression sleeves so that I can keep the blood flowing and get faster return of oxygen and less soreness. I also like to carry OrangeMud’s hydration pack with Honeymaxx, Enduropacks in. And of course I always run with a hat on to keep the sun, and sweat off of my face." He is sponsored by Runner's High Nutrition and you can use code RealRunRyan for 10% off. "For me, I'm all about comfort when it comes to long runs. Since I live in the humidtastic state of Florida, it's all about clothes that absorb sweat like my super awesome North Face Vapor Wick shirt. It's also important to have comfortable socks. If you're going to spring for anything, buy a pair of Balega socks and Zensah calf compression sleeves. Your feet will thank you on mile 9. Oh yeah, and pack a Salted Caramel GU Energy pack for a little boost!" He is an I'm Fit Possible ambassador like me! 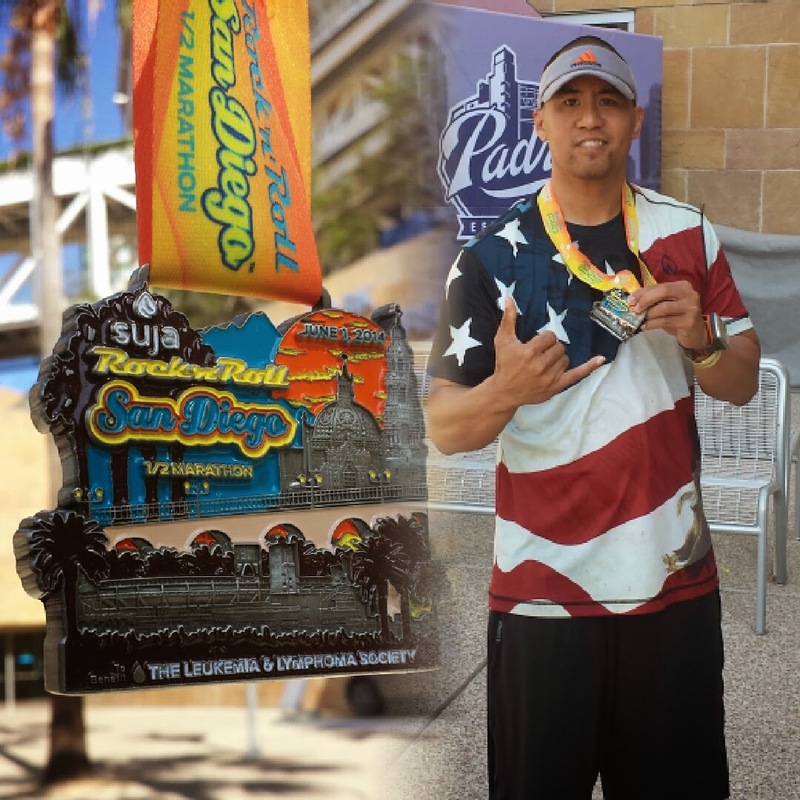 "Although I started running in 2010, I didn't start participating in races until last year. Being a dad of two growing kids (a teen and a tween) who seem to always need new clothes and shoes, I have a pretty limited running wardrobe budget. I pretty much wear the same thing in all of my races. Here is my usual race outfit: Merrell Road Glove: I really prefer the minimalist type of shoes when I run and I'm on my second pair of Road Gloves. Blue Camber Tech Shirt by Ink 'n Burn, Performance Denim by Ink n' Burn: I was introduced to Ink 'n Burn by See Sharp Run when I won a gift certificate from him. I love the style and performance of this brand! 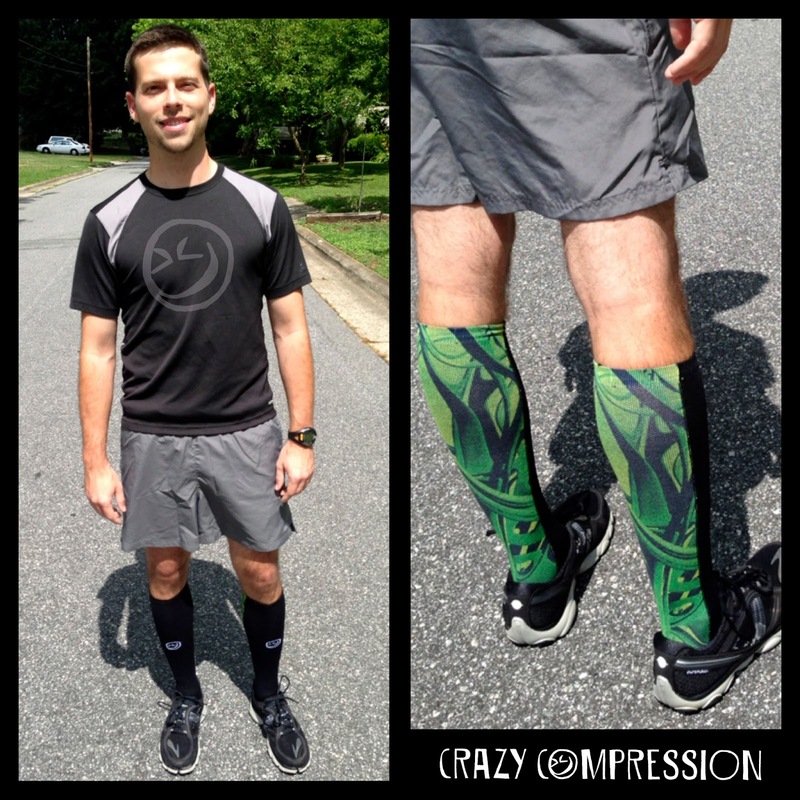 Injinji 2.0 OTC Compression Socks: I almost exclusively run in Injinji socks... Love them! McDavid Knee/Patella Straps: I started having issues with my knees in 2011 and I found these provided my knees support. One Love headband: I'm really bad about losing my headbands but when I do wear one, it's from One Love." He even posts dietary vegan recipes on his blog like this one for GF Falafel! "I have 4 things that are a must. Comfortable & light weight clothes (fan of Nike Fit shirts & shorts), great shoes (currently running in Newtons), light weight performance socks (Fitsok F4's) and of course some Crazy Compression for recovery (Fan of black and I've made some custom designs for myself :)...going to launch some men's designs soon." Aren't those socks awesome? As always, use code CRAZY25 for 25% off! 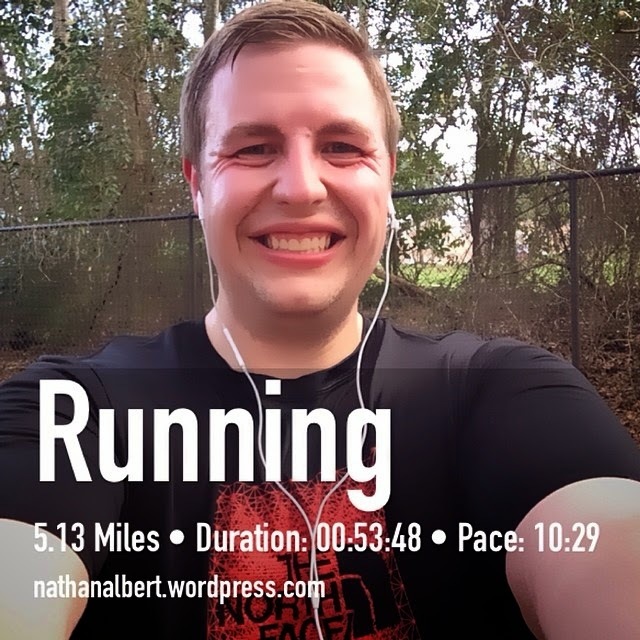 "I like to go on a run in the early evening because it's nice and cool out. Of course I wear my bright yellow WFTW shirt for safety (this one is "One Finds Limits by Pushing Them"). I'm pretty simple. Nothing fancy. I like to wear a pair of Champion Tech pants and my Asics running shoes. " Want your own Words from the Wise shirt? Use code SDMOM for 20% off here. So there you have it! 10 awesome runners, 10 different types of gear preferences. I guess guys care about the same things we women do in a race day outfit - comfort AND style!